Call our office to speak to our fulltime insurance coordinator. We accept most insurance and will help uninsured patients explore healthcare options. 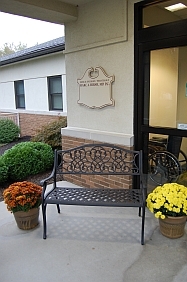 We are located in the Cherry Tree Professional Center off Wilson Avenue in Hanover, PA, just down the street from Hanover High School. Dr. Hirsh's office is at the far left of the Cherry Tree Cancer Center office.